Did you really think we were done with eclipse coverage? 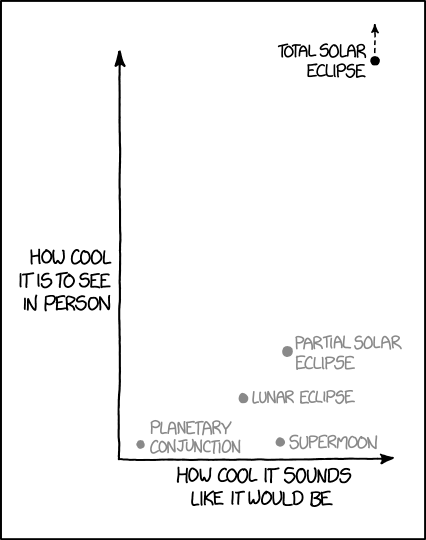 (Actually we still will not be, there were some other neat eclipse coverage pieces I want to look at.) But today is Friday and so we look to lighter (and I find humourous) coverage, this week from xkcd. 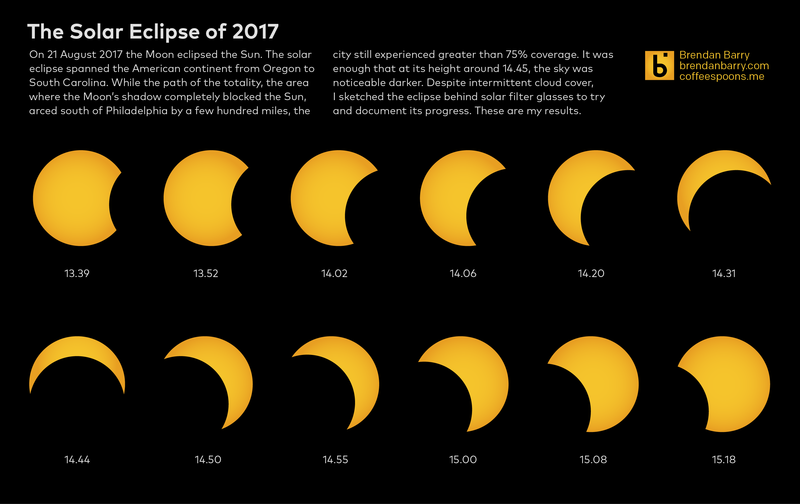 As my last two posts pointed out, yesterday was the Solar Eclipse. It certainly garnered media attention as a news helicopter hovered over my building during the height of the eclipse. Very peaceful indeed. But, knowing that my smartphone would not be able to take the best photos of the eclipse, even with a solar filter, I decided to do what any good designer might do. I sketched out the eclipse. Last night I digitised those sketches into this simple graphic. The sketches are not entirely accurate as the position of the Moon jumps in a few spots. 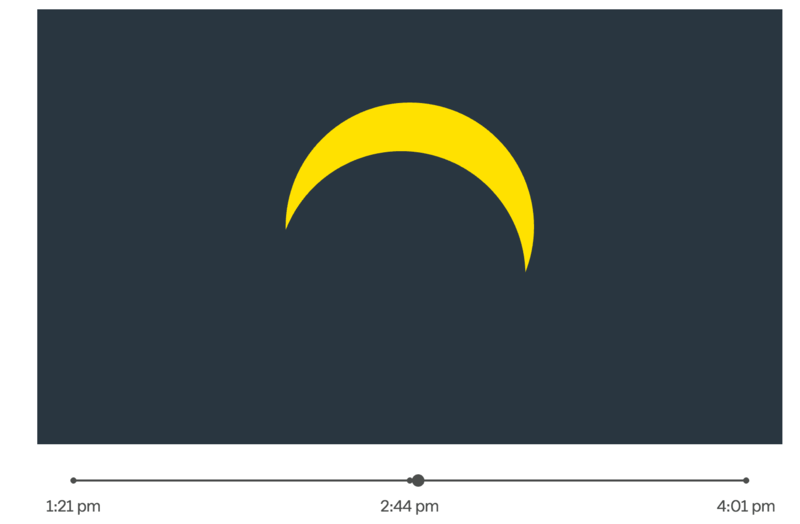 But it does give you the impression of peak eclipse about 14.45 with just a sliver, or 25% of the Sun remaining visible. And indeed the neighbourhood was visibly darker. If you have not heard, the entire continental United States will, weather cooperating, be able to see at least a partial solar eclipse on Monday, 21 August. It is still too far away for an accurate weather forecast, but I am hoping that we have good weather in Philadelphia that day. Or else why bother working from home that day? 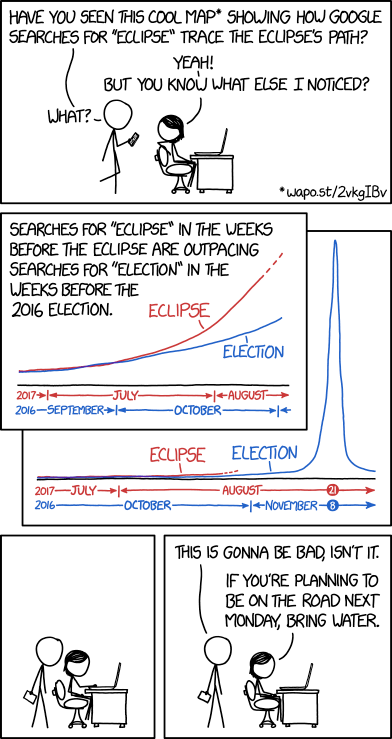 In the meantime, enjoy this eclipse-related piece from xkcd that ties together my love for astronomy things with my love for political things.